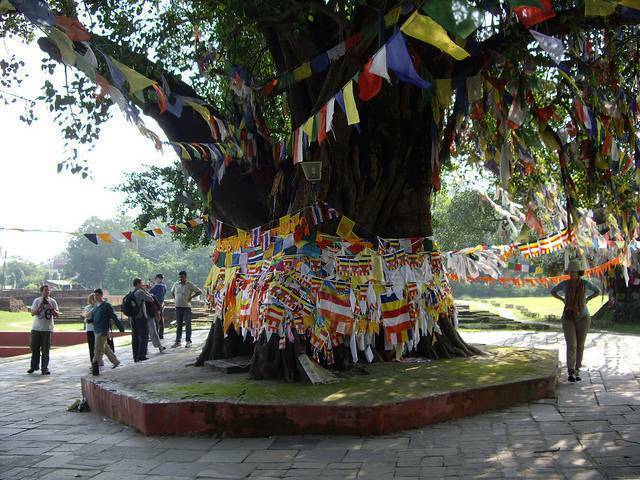 Situated next to the Mayadevi temple in Lumbini, Bodhi Tree is wrapped around in prayer flags sits the famous Bodhi tree of the origin of the one from Patna where Buddha is believed to have attained enlightenment. A drastically peaceful quite escape from the common world, an hour of mediation under the tree rejuvenates both your body and your mind. Monks clad with orange and yellow walk around, people recite prayers and meditate, and you let yourself float around in the spirituality of the place. While in Lumbini this is the closet one gets to feeling Buddha’s presence in our lives.